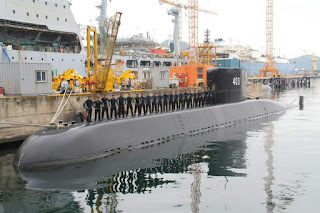 JAKARTA, -- After ordering three submarines from South Korea, Indonesia plans to buy three more as part of the country’s minimum essential force (MEF) program. The Committee for Defense Industry Policy (KKIP) said Indonesia had yet to decide the producer of the submarines. “The first, second and third submarines were developed in South Korea,” KKIP corporation and marketing department head Rear Adm (ret) Yussuf Sollichien told The Jakarta Post in Jakarta on Thursday. He said Indonesia had yet to decide whether it would purchase the three submarines from South Korea. 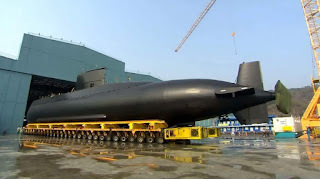 Indonesia has ordered three types of 209/1400 Chang Bogo- Class diesel attack submarines from Korean defense company Daewoo Shipbuilding and Marine engineering (DSME). The Navy currently operates two German-made submarines, the KRI Cakra (401) and KRI Nenggala (402), which were built in the 1980s. The submarines are due to be decommissioned in 2020. Besides three new submarines, Indonesia also plans to purchase guided missile frigates and fast missile boats. “Indonesia doesn’t want to downgrade the operational and technical requirements, so we will buy from foreign countries. However, we need the transfer of technology [TOT] as that is mandated by the law,” Yussuf said. The Republic of Indonesian Navy Nagapasa (KRI-403) Type 209 Improved Chang Bogo-class diesel-electric attack submarine.